Albany, US, 2019-Feb-11 — /EPR Network/ —The packaging industry is in the cusp of massive transformation with end-users opting sustainable packaging systems to address increasing burden of environmental pollution. Emergence of cellulose film packaging as apt substitutes for traditional packaging that entail harmful impact is likely to propel growth in cellulose film packaging market. Significant progress in FB industries coupled with personal care and cosmetic industries are likely to translate reasonable growth in cellulose film packaging market. 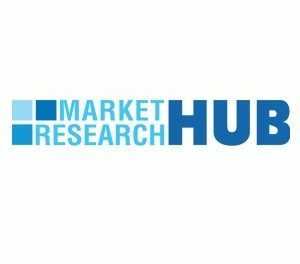 A new business intelligence report titled, ‘Cellulose Film Packaging Market: Global Industry Analysis 2013-2017 and Opportunity Assessment 2018-2028’ included in the fast expanding database of Market Research Hub (MRH) gauges recent market advances and their eventual implications on holistic growth trajectory of cellulose film packaging market. Market Research Hub (MRH) is a next-generation reseller of research reports of different sector like Packaging market research and analysis. MRH’s expansive collection of industry reports has been carefully curated to help key personnel and decision makers across industry verticals to clearly visualize their operating environment and take strategic steps.